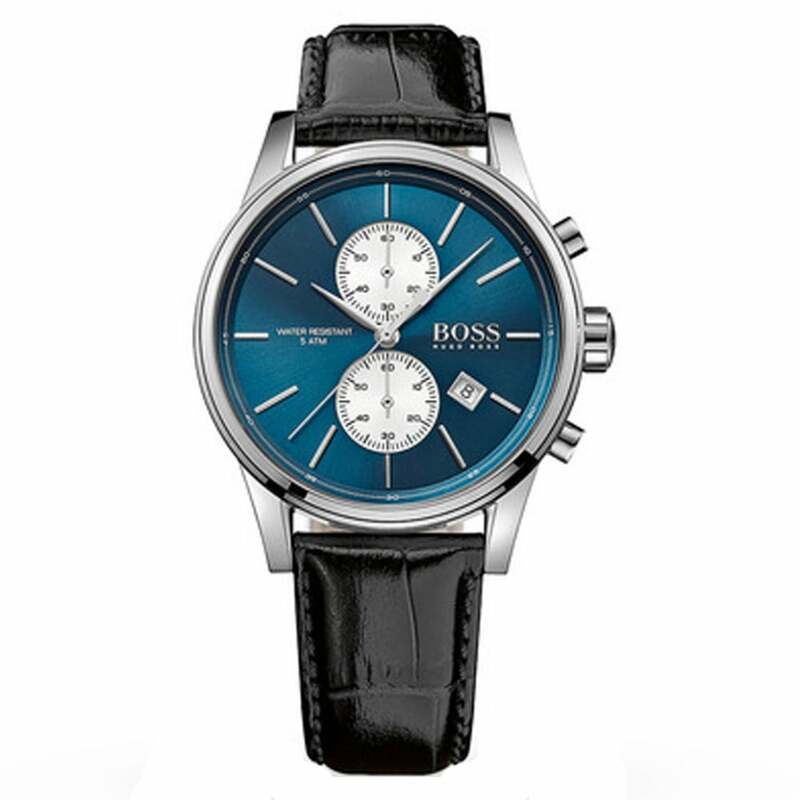 This Hugo Boss Black 1513283 Jet Black Textured Leather Chronograph Men's Watch comes with a 40mm case and black textured leather strap. Carrying a quartz movement and has a chronograph function. It comes with a 2 year Tic Watches warranty and FREE UK delivery.